Summer seemed to come and go in the blink of an eye this year. With the change of season comes time for maintenance to your home. Putting off maintenance items will often cause bigger problems to occur which in turn costs you more money. 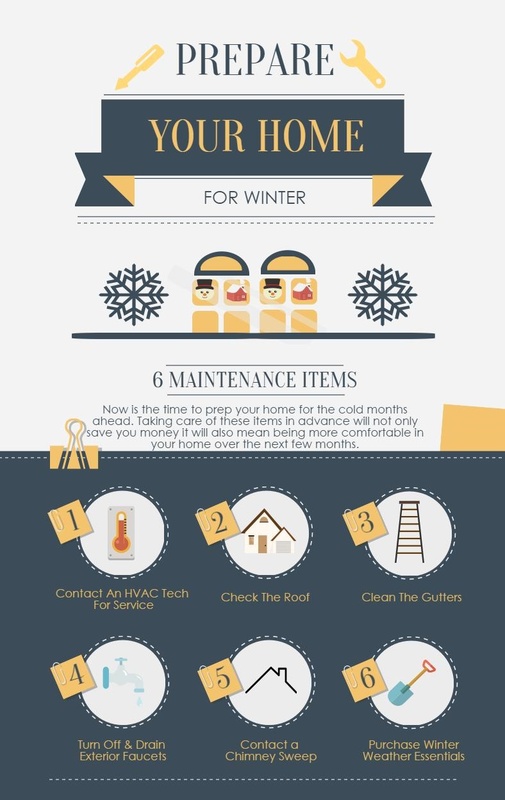 Use our tips as a guide to make sure your home is prepared for winter. HVAC Service – contact your preferred HVAC technician to have your system inspected and serviced before the cold temperatures arrive. Systems tend to have problems and stop running in extreme temperatures. Don’t risk being without heat on a cold winter day. Check Your Roof – have your roof inspected for missing or damaged shingles, clogged gutters, and loose gutters. If you have a ridge vent also have it inspected to make sure it doesn’t need to be secured or sealed to prevent water intrusion. Clean The Gutters – when your roof is being inspected if the gutters are clogged have them cleaned. Clogged gutters can cause leaks in the roof, rotten fascia that leads to water intrusion or even a flood in the basement. Winterize Exterior Faucets – this is a really important item that often gets overlooked. Before the first freeze, you want to turn off and drain all exterior faucets otherwise known as winterizing them. This will prevent any water from being trapped in the pipes, freezing, and then causing a pipe to burst. 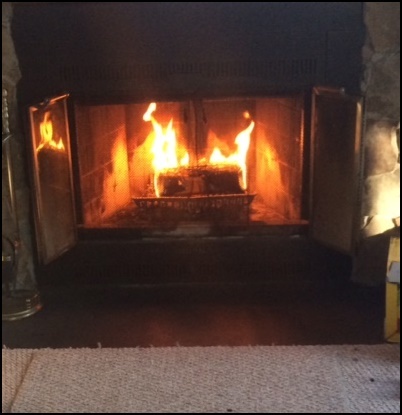 Chimney Sweep – before you have your first fire of the season be sure to have your chimney inspected and cleaned. Knowing that your chimney is in good working order is a sound safety precaution to take. The peace of mind alone knowing that there’s no buildup and the structure is safe will be worth every penny. Purchase Winter Weather Essentials – get your snow shovel, ice melt, candles, flashlights, gloves, and any other winter storm supplies you need to purchase long before there’s a storm predicted. You’ll not only pay less, you also won’t risk the chance of the items being sold out. We all know that in Northern Virginia we can overact just a bit when the weatherman is predicting snow! If you live in Northern Virginia and need a referral for a trusted professional to take care of any of the above maintenance items contact us. We'd be happy to give you some recommendations!